The Geology of the U.S.S.R. 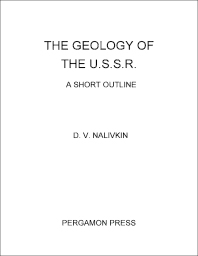 The Geology of the U.S.S.R: A Short Outline is a 10-chapter text that considers the topographical features, the main stratigraphical description, tectonics, magmatism, and economic deposits of U.S.S.R. territories. The entire US.S.R territory covers an area of approximately eight and a half million square miles, or about one-sixth of the total land surface of the Earth. The first chapters explore the geological features of specific territories, including the mainland, Siberian platform, West Siberian lowlands, Ural Mountains, and Western Arctic and Timan. The remaining chapters deal with other territories, such as the Angara, Pacific Ocean, and Mediterranean geosynclines, Central Asia, and North-Western border of the Mediterranean geosyncline. This book will prove useful to practitioners of general geology, petrology, economic geology, and geography. Geological Regions of the U.S.S.R.
Map of the Geological Regions of the U.S.S.R.